This entry was posted on October 23, 2010 at 9:48 am and is filed under weaving. You can subscribe via RSS 2.0 feed to this post's comments. Both comments and pings are currently closed. Thanks for your comment Kim – I think a lot of people agree with you ! 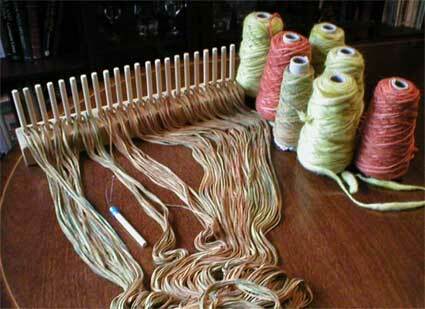 Especially about the sort of harness/ shaft looms I’ll be talking about at the end of my fourth weaving post. 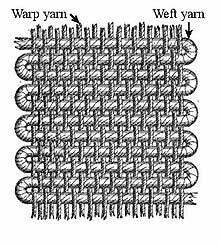 Many people find them difficult to understand well enough to warp up and then weave on. 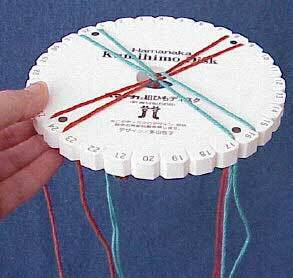 But there’s no need to use one of those complex looms. 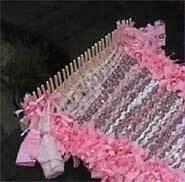 Many people produce beautiful and exciting items using much simpler looms. 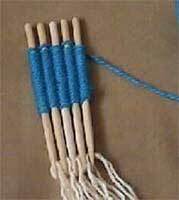 The peg loom is by far the simplest tool to start weaving on. Great for young and old alike, as well as those with disabilities. Take a look at http://www.thehandweavingcompany.co.uk There is a short video film and an online shop with lots of wonderful ideas.